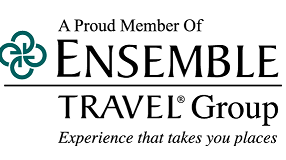 We are a travel agency serving greater Philadelphia and beyond! We work with couples, families and groups, and we pride ourselves in personal service and custom itineraries. Here are just a few of the destinations around the world that we do best. If you don’t see the what you are looking for, contact us and we'll curate a custom experience just for you - with no additional service fee! Based in the suburbs of Philadelphia in Chester County, we pride ourselves on personal service and custom itineraries. 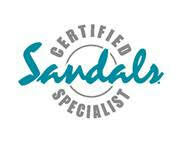 We specialize in honeymoons, destination weddings, family travel and groups. We look forward to working with you on your next vacation of a lifetime! We offer several pre-packaged group trips per year, or talk to us about our great group rates and plan to travel with 20 of your closet friends! Dreaming of a nuptials on a sandy beach or on the cliffs of Santorini? We will ensure perfection in every detail for you, and your guests! You’ve just planned every detail of your dream wedding, now trust the professionals to plan the honeymoon of a lifetime! JetSetPilot knows where your kids will have fun and where they won’t because, let’s face it, their good time equals a good time for all! Day-to-day travel or group reward trips, we’re here to manage all your corporate travel needs! Private car or helicopter transfers? Accommodation special requests and excursion reservations? We have you covered! And our relationships with high end resorts may mean a surprise or room upgrade upon check-in! Take a look at some of our favorite trips we've planned for our clients. These are just a sampling of the amazing and custom vacations we can create for you, including a couple's getaway to Mexico, a group trip to Puerto Rico, honeymoon in Hawaii, family vacation in Ireland and more! We'll also share some of our best kept secrets in travel guides to our most popular destinations! It was JetSetPilot’s first group trip Jamaica and it did not disappoint! For months, we touted amazing experiences in our first individual visits to the home of Irie. Aside from the destination and resort itself, what is always prevalent on all of our group trips are great people and great conversation. #2 on our Top 5 Favorite Trip list is the trip where Brian and I got engaged…Barcelona Spain in 2008. Our engagement certainly made for a special trip, but the city itself and the food (tapas!!) is why this trip is in the top 5. JetSetPilot Travel is a Travel Agency specializing in independent and group travel to European and Caribbean destinations. Interested in something unique and special? One of our agents can build a custom experience to your destination of choice anywhere in the world! We take pride in every vacation, honeymoon and destination wedding we plan and we love to hear from our clients when they return! I contacted Brian at JetSetPilot with 20 different ideas of where I wanted to go, and Brian gave me a few really great, diverse options to choose from. I’d recommend JetSetPilot to any bride who is looking to book an amazing honeymoon with minimal stress and maximum luxury. Hands down the best resort we have ever been to and our guests absolutely loved it as well. Every detail was cared for and it was truly our dream wedding come true! Brian has now planned two vacations for us, one to Italy, Switzerland, and Germany and one that we just got back from to Punta Cana. Both trips were amazing and hassle free!! We cannot recommend him enough!